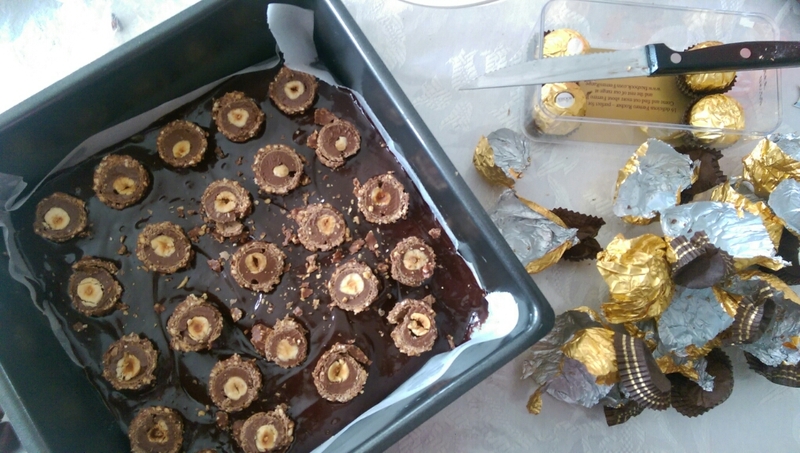 I had a dilemma…cookie dough brownies ferrero rocher brownies or Biscoff brownies?! Tough one, right? So I took it as a sign when I saw a picture of Ferrero Rocher Brownies on my facebook news feed. And as you may have noticed, I do have a bit of a Ferrero Rocher/nutella obsession (this, this and we mustn’t forget this ). Place box of Ferrero Rocher in the fridge a few hours before you start. 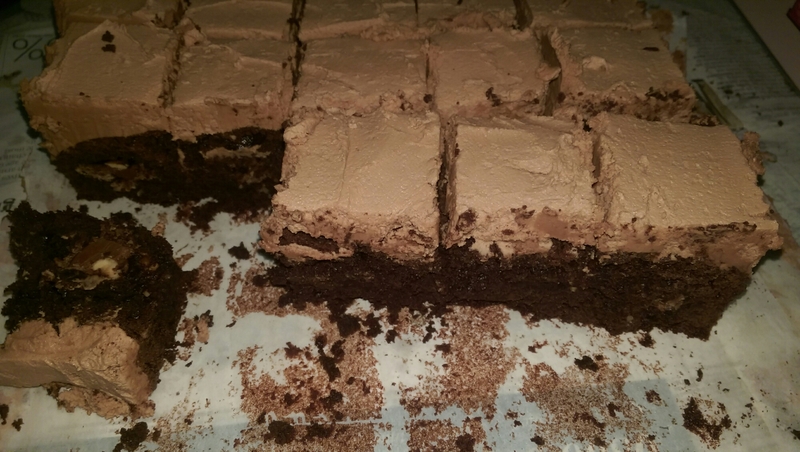 For the brownies I used the Jamie Oliver recipe, which is my normal go-to recipe. Cover with the remaining brownie mix, and bake for 30-40mins; until a knife poked in the centre comes out almost cooked (shouldnt be too runny or come out clean). In the meanwhile, make the dreamy nutella frosting. Cream together 125g unsalted butter at room temp with 250g icing sugar, add a few drops of milk (as needed)to achieve a smooth consistency. Add nutella to taste (at least 2tablespoons). 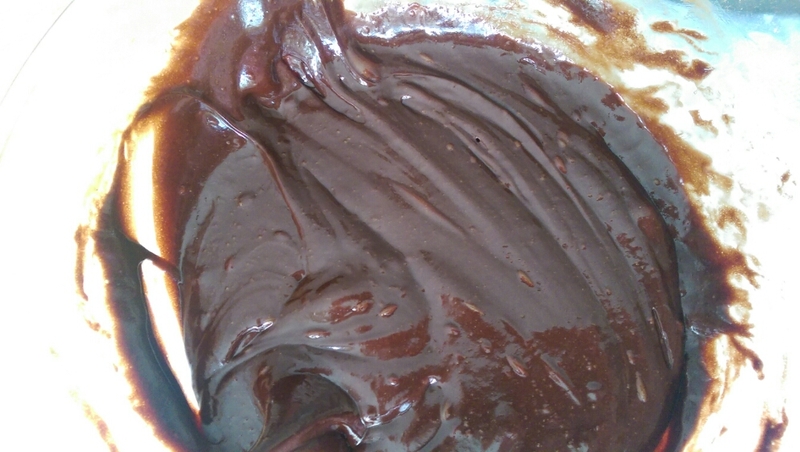 Once the brownies are cooled, spread the nutella frosting over. If you have any, which unfortunately I didnt, sprinkle with chopped hazelnuts. Leave to chill/set in the fridge for at least 2hrs. Remove from the tin and cut into squares, I cut them into 25 squares. 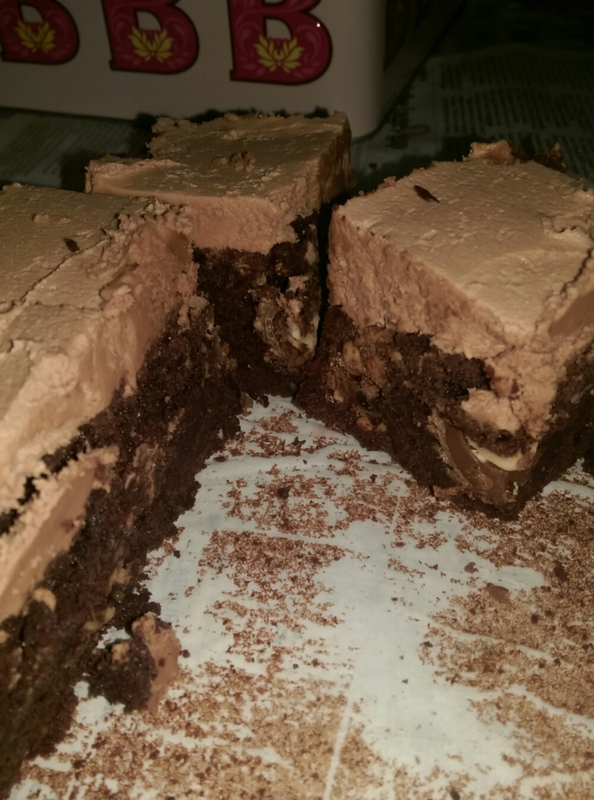 This entry was posted in Bars/Slices, brownies and tagged brownies, ferrerorocher, ho, homemade on June 21, 2015 by maryambakes.